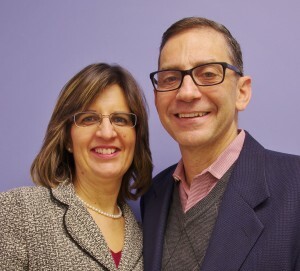 Tim has served as a senior/lead pastor for over 20 years in New Jersey and the New York Metropolitan area. He is currently the Senior Pastor of First Assembly of God in Shrewsbury, NJ. Prior to coming to First Assembly, Tim served for four years as the Lead Pastor of Promise International Fellowship (Flushing, NY) and for twelve years as Senior Pastor of Englewood Assembly of God (Englewood, NJ). Tim has a Master of Divinity degree from Alliance Theological Seminary in Nyack, NY and a Bachelors of Science degree from Fordham University in the Bronx, NY. He has been ordained with the Assemblies of God since 1991. He has also served as a presbyter of the New Jersey District of the Assemblies of God. Kim is as well credentialed with the Assemblies of God. She has been highly involved in the women's ministries of the churches where they have served and is a gifted pianist and vocalist. She currently leads worship each Sunday for the congregation of Shrewsbury First Assembly. The Harrises have three children Jonathan (who is now married to Danielle), Nathaniel, and Joanna. Tim and Kim are both originally from Rockland County, New York. Although Joe grew up in South Philly attending with his family Calvary Temple Assembly of God, it wasn't until he was 22 years old that Joe had a life-changing encounter with Christ. 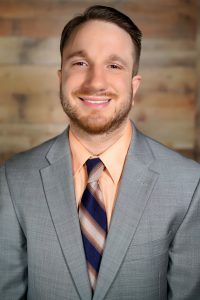 Shortly afterwards, Joe began to feel God's call into full-time ministry and in 2015 he entered the Master's Commission Program at Philadelphia Christian Center in Bensalem. This is where Joe met his beautiful wife Jennifer and also where they began to serve in ministry together. Shortly before graduation of the Master's Commission program, Joseph & Jennifer began to serve at First Assembly in March 2017 and were recently married on June 29th. They have been serving God faithfully at First Assembly in the Youth Ministry, Kid's Church, and Outreach Ministries. 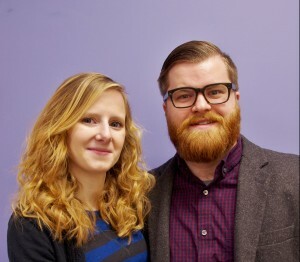 Both Jessica and Dan were raised in church and from a young age, participated in many facets of ministry. The two have used their talents for worship, youth and children's ministries, as well as working in the church media department. As teenagers, they spent many summers volunteering at Pilgrim Camp, a Pentecostal summer camp where young people can experience God in a very personal way. Their relationship began during those summers, where they ministered and grew in Christ. They have now been married for four years and are loving parents to their sons Dietrich and Hans. 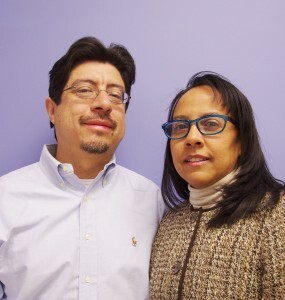 Carlos and Gizel have been happily married for 15 years. They are blessed with an active and inquisitive 8 year old son who takes up a good amount of their "free" time. Carlos and Gizel enjoy working in all aspects of the ministry from teaching and mentoring to being part of the worship team and organizing evangelistic events. They have been part of the First Assembly of God family for 8 years. Jenna grew up in Hamilton, NJ and moved to Monmouth County in 2015. She's married to Stephen, and has inherited one black cat named Kal. 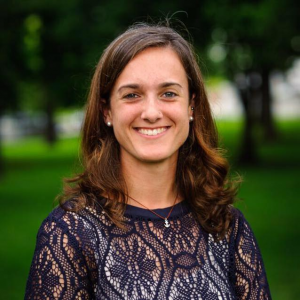 She spent the last seven years as a campus missionary with Intervarsity Christian Fellowship before coming to Shrewsbury First Assembly. Jenna is currently studying for a Masters in Biblical Studies in seminary, and loves studying and teaching the Bible. Dave came on staff in June 2016 to serve us in the area of maintenance. Dave is married to Diane and has two grown children. He has been involved in church ministry in a variety of ways including regular ministry in a number of nursing homes in the area. As a church that belongs to the Assemblies of God, Shrewsbury First Assembly of God adheres to the doctrinal statements of the General Council of the Assemblies of God. Click on the link below to read what it is we believe. To be a church that is effectively and consistently reaching people of all ages and backgrounds with the Gospel, making healthy disciples of Jesus Christ both locally and globally. To worship God according to the Scriptures. Every person is important and worthy of love. The gospel is the only message that leads to the salvation of God. Every person has a gift and talent to help build the Kingdom of God. Compassion is essential to living out the Christian life. Spiritual growth and discipleship is the ultimate goal of all church ministry. Children, youth, and young adults are not the church of tomorrow...they are a vital part of the church today. The Holy Spirit is still at work in the lives of people and in our world today. The Bible is our only rule of faith and conduct. A: Our services are about 1 1/2 hours in length. They normally consist of a time of worship music, prayer, announcements, offering, and a Bible-based sermon. A: The people of First Assembly come dressed in a variety of ways. Some are more formal (e.g. suit and tie; a dress), some are much more casual. We encourage that our people dress appropriately for a worship service. You will be welcome whether you are dressed up or down! Q: What kind of music do you sing and play? A: Our music is led by a worship band, thus we sing mostly contemporary worship music. However, it is not unusual for us to also sing and play some more traditional worship songs, including hymns.